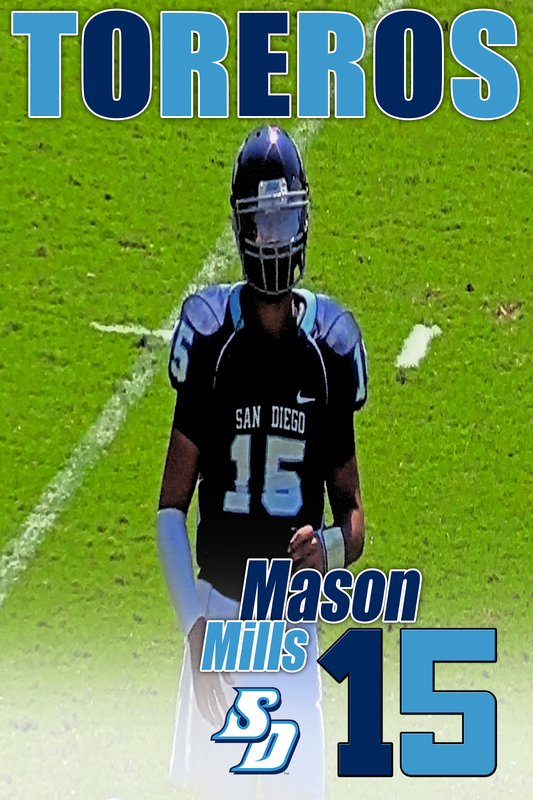 After four seasons as a the Toreros' starting quarterback, Mills became the school's all-time leader in passing yards (11,104), attempts (1,338), and completions (887), records previously held by former standout Josh Johnson. Mills also holds the school record for passing yards in a single game after a 511 yard performance against Dayton in 2012. During that same season, he led all FCS quarterbacks in completion percentage (70%). In 2013, Mills was named the Pioneer Football League Offensive Player of the Year after leading the Toreros to an 8-3 record while throwing for 3,463 yards and 35 touchdowns. He also earned his second straight Team MVP Award and was named the Co-USD Male Athlete of the Year.